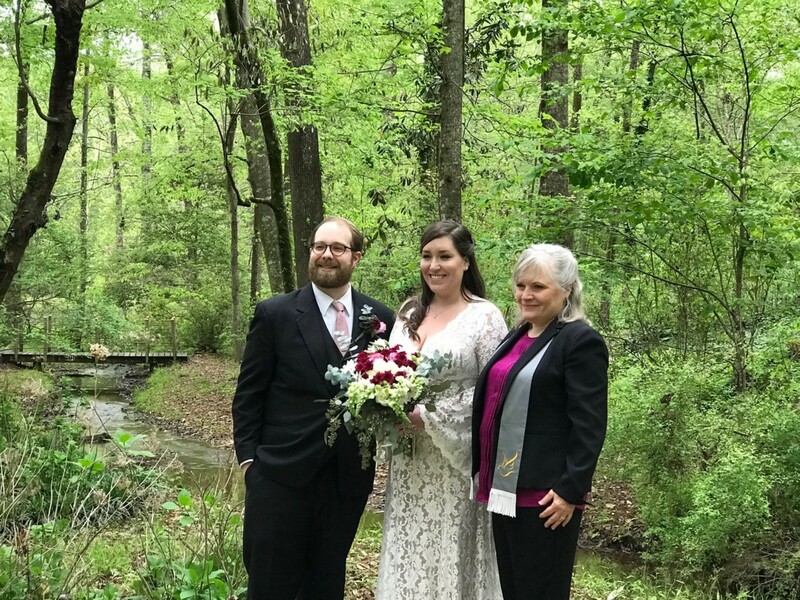 In Millbrook, Alabama, the Alabama Wildlife Federation provides many wedding packages to choose from. Courtney and her groom, Will Joslin, chose the Hill Home at Lanark for their ideal wedding venue. 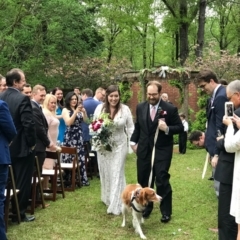 The theme was elegance, with a touch of southern style — and with the greenery, gardens, and historic house — she attained exactly what she wanted. 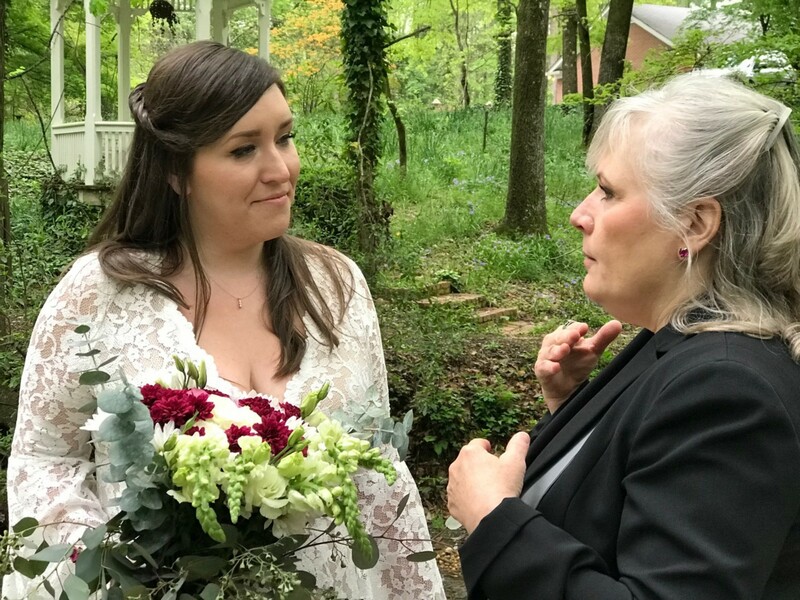 The lovely bride stated that her mother picked her dress — a Bohemian style lace dress with bell sleeves and a classy low-cut back – for her big day. At first, Courtney said no to the dress, but after trying it on, stated “I saw my whole bridal vision, from head to toe. Everything came together at that moment.” Good job, mom! 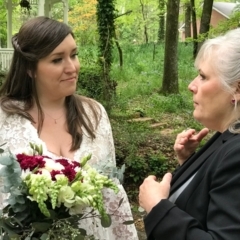 Two of Courtney’s bridesmaids, Cierra and Ida, assisted with the floral arrangements, while Bridesmaids of Bohemian decorated the ceremony and reception areas. Courtney walked down the aisle to the song “Take My Hand” by artists Emily Hackett and Will Anderson. Later in the evening, our couple had their first traditional dance to “Cover Me Up” by Jason Isbell. Courtney said she was most concerned that the rain would wash out the wedding, but thankfully, the rain clouds cleared up in the nick of time for the ceremony. The most memorable moment for the bride was “I remember my groom mouthing the words, “you look beautiful” during our vows”. 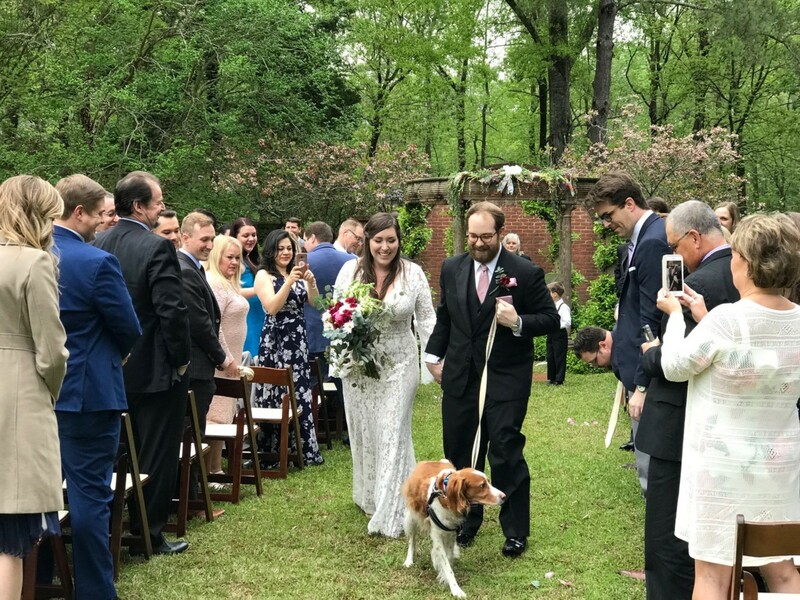 After the ceremony, Stonewall, the couple’s dog, had to get in on the action and congratulate his parents by giving the couple kisses. Afterward, Personal Touch Catering provided everyone a delightful dinner of a spring mixed salad, apple-smoked, bacon-wrapped pork tenderloin, fried chicken, jalapeño creamed tomatoes, rolls, and cornbread. Courtney and Will’s cake was a beautiful two-tiered “naked” cake, adorned with fruit and flowers. Congratulations, Courtney, Will, and Stonewall!